A wonderful cooling fragrance. Featuring sweet and sour cucumber, deep green foliage with hints of violet. A strong base of sweet, freshly sliced honeydew melon. Just gorgeous! Magik Beanz Hot Shots are simply amazing. 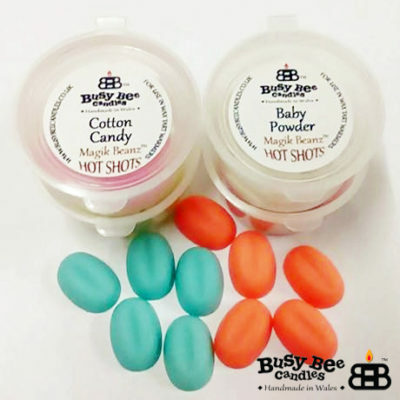 The ultimate highly scented Wax Tart Melt product offered by Busy Bee Candles. Each little Hot Shot Bean is 25% stronger than our already strong Magik Beanz. Little fragrance bombs designed to totally fragrance your home for hour after hour. Place at least 2 Hot Shots Beanz in your Wax Tart Warmer (Tea Light or Electric Warmers) and experience fabulous fragrance. Use the whole pot of Hot Shots if you want the maximum punch of fragrance. As with Magik Beanz, choose a single fragrance or mix up the scents to create your own unique home fragrance combinations. Try some of these recipes. Highly recommended for whole house fragrance. 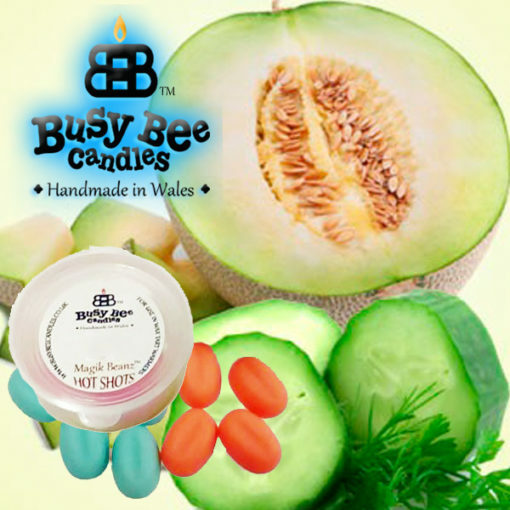 Each pot of Busy Bee Candles Magik Beanz Hot Shots contains 5 highly scented mini melts. Average fragrance time for a pot of Magik Beanz is approximately 12 hours! CAUTION – Busy Bee Candles Hot Shots are very strong. Only use Hot Shots if you like very strong home fragrance.